The Komodo Platform is an end-to-end blockchain solution you can use to launch your own independent blockchain or initial coin offering (ICO). However, the project expands far beyond that. Komodo is an ecosystem that also includes a decentralized exchange and a cryptocurrency anonymizer to improve the privacy of your transactions. How Does the Komodo Platform Work? The BarterDEX is an atomic-swap powered decentralized exchange. By using atomic swaps instead of proxy tokens, the primary method of other decentralized exchanges, Komodo lowers the counterparty risk. Decentralized exchanges also commonly have problems with low liquidity. To prevent this, the BarterDEX has Liquidity Provider nodes (LP nodes). The LP nodes help to stabilize the market price by buying and selling assets across the spread in the numerous order books. 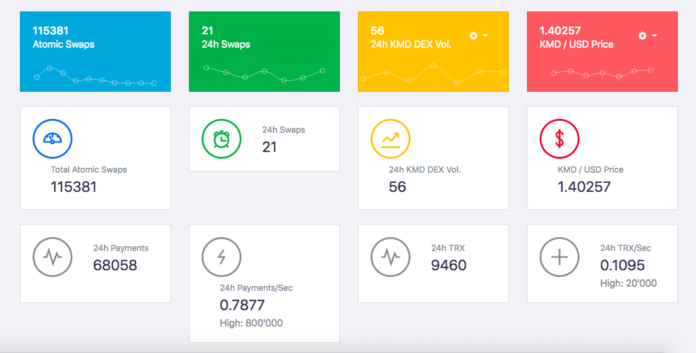 The Komodo community recently updated the BarterDEX to provide support for SPV Electrum-based coins, coins based on the Bitcoin protocol, Ethereum, and ERC20 tokens. The Jumblr is an open-source and decentralized cryptocurrency anonymizer. You have the option to use it to enhance your privacy when using the Komodo Platform. The overall process to anonymize your funds is fairly simple. The Jumblr takes the KMD tokens from your non-private address and sends them through a batch of zk-SNARK addresses. These untraceable addresses remove any currency trail from your tokens. From there, the Jumblr sends your tokens to a new address of your choosing. Your tokens are now completely anonymous. There’s a 0.3% fee (payable in KMD tokens) to use the Jumblr. The Jumblr is also connected to the BarterDEX, so you can add anonymity to any of the tokens you trade with as well. Currently, you need to perform this action manually, but the team plans to automate the anonymization once the Komodo Platform reaches further adoption. The Komodo Platform uses a Delayed Proof-of-Work (dPoW) consensus algorithm to maintain the network. Interestingly, the dPoW consensus is built on top of an initial consensus algorithm with no restriction on what that initial algorithm needs to be. It could be Proof-of-Work, Proof-of-Stake, or any other algorithm available. The Komodo team chose to attach their dPoW system to the Bitcoin PoW algorithm because it currently has the highest hashrate. The higher the hashrate, the more security a network usually has. Similar to a delegated Proof-of-Stake system, stakeholders elect notary nodes. There are 64 notary spots up for grabs, but only 13 are needed to secure the network. The job of these nodes is to notarize the blocks from the dPoW chain onto the Bitcoin blockchain. Without the notaries, transactions can’t be published on the initial consensus chain, but normal nodes can still read and validate them on the dPoW chain. A dPoW network attached to Bitcoin is advantageous because it gives any chain using it (no matter how weak) the security of the robust Bitcoin network. Even better, these third-party chains don’t have to pay the Bitcoin transaction fees associated with the notarization. They only need to pay fees to the initial dPoW blockchain. A major part of the initial Komodo Platform white papers was the creation of Decentralized Fiat Currencies, or DFCs, for short. DFCs are cryptocurrencies that are tied to local, fiat currency. The DFC technology would utilize atomic cross-chain swaps from the BarterDEX and the dPoW consensus algorithm outlined earlier. Initial plans had them primarily using the European Central Bank to reach a consensus on the price of the different currencies. The system uses the price points of BTC-USD, KMD-BTC, and BTC-CNY to determine the conversion rate of any currency to KMD. The Komodo team’s plans for Decentralized Fiat Currencies (DFCs) is seemingly on the backburner. The notary nodes would record the DFC prices on the Komodo blockchain with the dPoW algorithm adding security to the network. Using this method, the platform would only need to have a liquid BTC-KMD market to perform the exchanges. This means that your conversions are automatic and, for the most part, guaranteed. Although DFCs were a prominent roadmap item when this guide was first published, it appears as if this feature is now on the backburner. The Komodo team has also expanded their decentralized ICO (dICO) services. Through just two Komodo commands, you can launch your own blockchain and crowdfund your ICO. Your new coin lives on an asset chain separate from the main Komodo chain. Just as the Komodo blockchain notarizes to Bitcoin, your asset chain notarizes to the Komodo blockchain. The Komodo team began by offering additional dICO services in which, you would also get access to Komodo’s marketing channels, underlying technology, and consultants. They would only host one dICO at a time, though, so the partnerships were highly selective. The first ICO was with Monaize, an e-banking platform. Since then, they’ve opened up the dICO software to anyone interested. At the time of this writing seven projects have utilized the Komodo Platform for their dICO. As is the trend with several privacy-focused projects, the majority of team members had chosen to remain anonymous in the beginning. However, several team members have since revealed their identities. The 30+ person team is lead by a developer operating under the pseudonym JL777. JL777 previously worked on the NXT project and is highly praised in the blockchain community for his development skills. The Komodo team has changed slightly in the last year, but most of the faces remain the same. The Komodo Platform is part of the SuperNET umbrella. The project is a fork of Zcash (a previous fork of Bitcoin), but as described above, has expanded far beyond that. The main feature that Komodo takes from Zcash is the zk-SNARK privacy technology used in the Jumblr. The Komodo development team has done a good job accomplishing items on their 2018 roadmap. As you can see below, they seem to be right on track. Komodo is facing competition from all angles. As a privacy coin, it competes with Monero, Dash, and of course, Zcash. Regarding ICOs, Ethereum is the biggest competitor. Other coins such as Waves and NEO are also in this crowded space. JL777’s previous project, NXT, also specializes in ICO launches. Komodo is unique in that it’s the first to offer decentralized ICOs. Lastly, decentralized exchanges (DEXs) are increasingly becoming more competitive as well. EtherDelta and BitShares are two big players in this sector while Waves has a DEX as well. As a KMD token holder, you receive up to 5% interest on the tokens that you hold each month. Unlike a normal Proof-of-Stake system, there’s no need to keep your wallet online to get your interest. To claim your interest and reset the monthly maximum, all you need to do is transfer your tokens to another wallet address. Note that you need to hold your KMD in a wallet to receive interest. You will not receive the interest if your coins are on an exchange. The interest rewards will disappear once the entire supply of 200 million KMD are mined. The team projects that this will occur sometime in 2031. The Komodo Platform ICO occurred at the end of 2016, and the team raised just under $2 million. Through the ICO, 90 million KMD tokens were distributed to investors, and an additional 10 million were kept by the team for future development and marketing. The remaining 100 million tokens are used to reward miners in the dPoW system. The KMD price has jumped significantly three times in the coin’s history. The first increase happened in June 2017 and coincided with the first-ever Komodo presentation. This presentation was part of a SuperNET meet-up in Amsterdam where the team covered the overall vision of the platform. The next price increase was at the beginning of September 2017. The marketing hype around a future announcement seemed to be what fueled this rise. After the announcement that Komodo would partner with Monaize for the first decentralized ICO (dICO), the price dropped and stabilized around $2.00 (~0.0005 BTC). 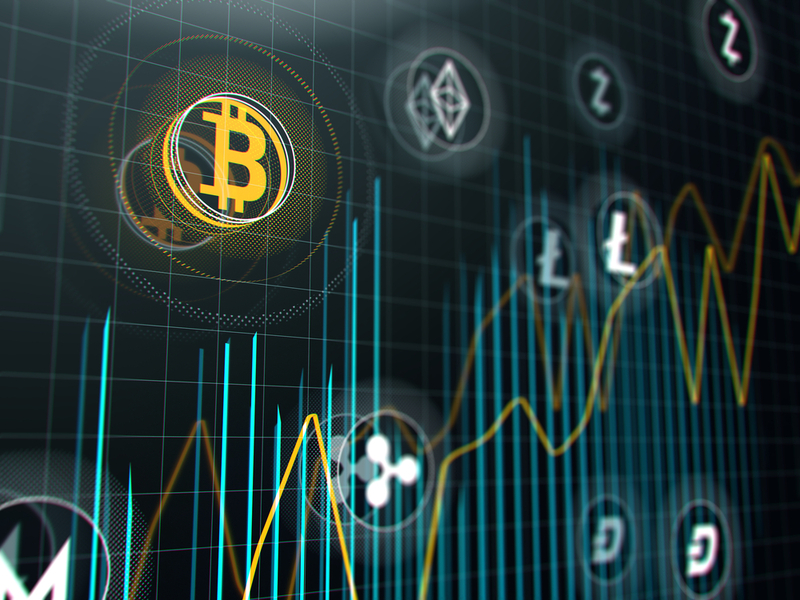 In December 2017, KMD experienced its third significant price jump following most other alternative coins. During that time, it rose to an all-time high of $12.89 (~0.000763 BTC). Since then, the price has fallen and seemingly bottomed out at around $1.20 (~0.000187 BTC). At this point in the game, the Komodo ecosystem needs more use to increase the price. This use could come in the form of more dICOs, BarterDEX action, or even asset chain functionality which would lead to further adoption. You can trade Bitcoin for KMD on either Bittrex or Binance. To trade on these platforms, you first need to have Bitcoin to trade. You can purchase Bitcoin on Gemini and then transfer your funds to get KMD. Out of the wallets that the Komodo team offers, the Agama desktop wallet is your best bet. It’s available on Windows, Mac, and Linux operating systems. For additional security, you can store your KMD using a Komodo-provided paper wallet. A paper wallet keeps your funds offline and out of reach of malicious hackers. Although not provided by the Komodo team, another great wallet option is the Ledger Nano S. This is a hardware wallet that can store multiple different coins. Although more costly than other wallets, the Ledger is one of the most secure means of storage available. The Komodo Platform is a large-scale project that includes decentralized ICOs, a unique consensus algorithm, and even a decentralized exchange. You would think that with such a large scope, it would be tough for the project to be successful. However, the team has consistently hit their roadmap milestones and appears to be one of the more solid projects in the space. If they can continue to accomplish everything that they’ve set out to, it’s easy to see Komodo becoming a big name, all-in-one blockchain solution that people across industries will find valuable. Editor’s Note: This article was updated by Steven Buchko on 10.24.2018 to reflect the recent changes of the project. The post What Is the Komodo Platform (KMD)? | All You Need to Know appeared first on CoinCentral.